03 - 09 INFINITI FX35 3.5L 3498CC V6 DOHC. 03 - 07 INFINITI G35 3.5L 3498CC V6 DOHC. 02 - 04 INFINITI I35 3.5L 3498CC V6 DOHC. 06 - 08 INFINITI M35 3.5L 3498CC V6 DOHC. 03 - 06 NISSAN 350Z 3.5L 3498CC V6 DOHC. "Cloyes Timing Chain Tensioner --. CLOYES TIMING CHAIN TENSIONER. Condition : New. Under NO circumstances will our liability exceed the amount of the original sale. General Warranty Limitations (Applies to all Product Warranties). Depending on the specific vehicle, these seal rings are located either between the timing cover to engine block, the timing cover to camshaft access cover, the camshaft chain cover, or the filter bracket to engine block. 350Z 03-06 INFINITI 3.5L. TIMING CHAIN KIT WATER PUMP fit NISSAN ALTIMA 02-06. UP FOR SALE IS A USED CHAIN COVER FROM 2006 NISSAN 350Z. WILL FIT: 2006-2008 NISSAN 350Z. 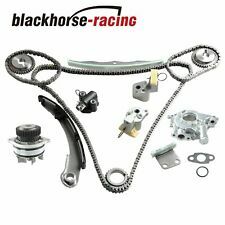 TIMING CHAIN KIT for INFINITI FX35 03-08 G35 03-08 I35 02-04 NISSAN 350Z 03-07 MAXIMA 02-03 V6 3.5L. Genuine Nissan Timing Solenoid Gasket. We will do our best to list it for you as a "Buy It Now" item. It must be in new resalable condition. We are not responsible for installation errors. We are not responsible for any labor expenses, towing expenses, lodging expenses or rental car expenses that occur as the result of the installation of any wrong or defective parts. Spec Note: (24 Valve) Eng. Code "VQ35DE" -Internal Cam Sprockets are NOT included. Infiniti FX35 3.5L 3498CC V6 DOHC. Nissan 350Z 3.5L 3498CC V6 DOHC. Infiniti G35 3.5L 3498CC V6 DOHC. Nissan Murano 3.5L 3498CC V6 DOHC. Spec Note: (24 Valve) Eng. 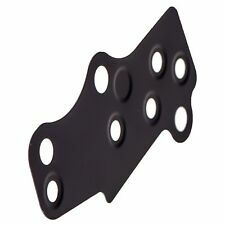 Code "VQ35DE" -Internal Cam Sprockets are NOT included. Infiniti FX35 3.5L 3498CC V6 DOHC. Infiniti G35 3.5L 3498CC V6 DOHC. Nissan 350Z 3.5L 3498CC V6 DOHC. Nissan Murano 3.5L 3498CC V6 DOHC. 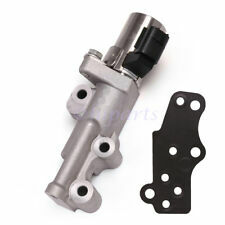 23796EA20A Variable Valve Timing Solenoid VVT Valve Right For Nissan Infiniti RH. 2003-2009 Infiniti FX35 3.5L 3498CC V6 GAS DOHC. 2003-2007 Infiniti G35 3.5L 3498CC V6 GAS DOHC. 2002-2004 Infiniti I35 3.5L 3498CC V6 GAS DOHC. Other Part(S): 23796EA22A. WHEN YOU CAN HAVE THE FACTORY GENUINE OEM PART AT A FRACTION OF THE COST! 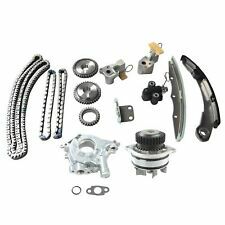 ENGINE TIMING CHAIN KIT OIL PUMP for INFINITI Fx35 03-08. G-35 03-06 I-35 V6 3.5L. 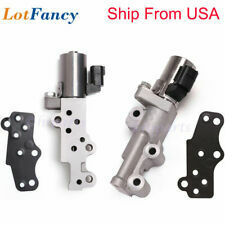 23796EA20A Variable Valve Timing Solenoid VVT Valve Right For Nissan Infiniti RH. 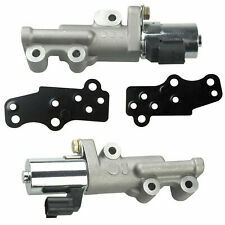 1x Engine Variable Timing Solenoid (Right）. 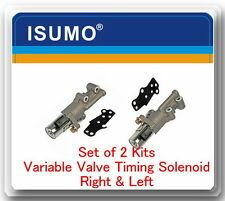 1x Engine Variable Timing Solenoid (Left）. 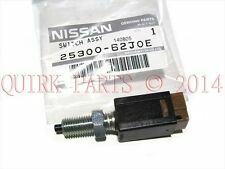 2002-2008 Infiniti I35 Rear Bank. ). Other Part Number(s) : 23796EA22A. We are a OEM parts wholesaler locate in Canton, MI. OEM Part Number : 23796-EA22A. Spec Note: (24 Valve) Eng. Code "VQ35DE" -Internal Cam Sprockets are NOT included. Infiniti G35 3.5L 3498CC V6 DOHC. Nissan 350Z 3.5L 3498CC V6 DOHC. Nissan Murano 3.5L 3498CC V6 DOHC. Infiniti FX35 3.5L 3498CC V6 DOHC. DONOR CAR: 2004 NISSAN 350Z COUPE - TOURING (Z33). Our parts are used auto parts professionally pulled from quality vehicles. We are not responsible for incompatible parts from model to model or year to year.